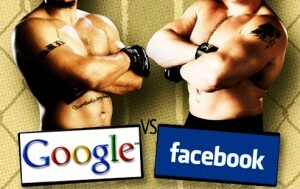 Social Media Marketing Blog by Jyoti: Google + New social networking site competing with Facebook? Google + New social networking site competing with Facebook? Yes, Google has officially announced the new digital platform. What is new in Google + that is not in Facebook? This is exciting development for social media marketing. You share different things with different people. So sharing the right stuff with the right people should not be a hassle. 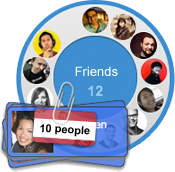 Circles makes it easy to put your friends from Saturday night in one circle, your parents in another, and your boss in a circle by himself - just like real life. Tell Sparks what you’re into and it will send you stuff it thinks you’ll like, so when you’re free, there’s always something cool to watch, read, or share. It is new concept called 'sharing engine'. Sending SMS or texting is good, but not when you’re trying to get six different people to decide on a movie. Huddle turns all those different conversations into one simple group chat, so everyone gets on the same page all at once. Your thumbs will thank you. There's a 90 minute check-in to make sure you're still there. Can't use Hangouts on a mobile device. Remember Facebook's famous Like button? Now Google gives you +1 button (plus one). +1 is also available on the Google search engine report. Do you think people will ditch Facebook and join Google plus? Do share this exciting development.